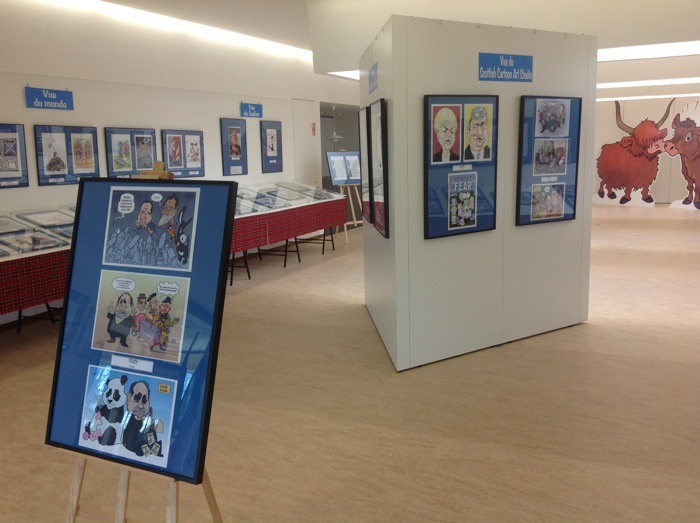 And of course the exhibition continues at the Centre International de la Caricature, du Dessin de Presse et d’Humour until the 14th of August. Keep an eye on our blog, Facebook and Twitter feeds for much more about The Auld Acquaintance over the summer. We’d like to thank: Janie Nicol and the SAU Executive Committee; Ewan Kennedy & Niall Campbell at Leiper; Luke Dodd at The Guardian Newsroom; Ermengol Tolsa, the IEI board and la Diputació de Lleida; and once again all our contributing cartoonists.